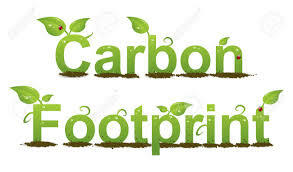 Top tips every small business needs to know in order to reduce their carbon footprint. Greenhouse gases are steadily polluting our atmosphere by approximately 3% more every year, with carbon dioxide being the most significant cause of global warming at 72%, it is therefore imperative that we start decreasing the amount of fuels we use/burn. Incorporating these small changes (outlined below) into your business’ daily routine can dramatically reduce: your carbon footprint, your utility bills, global warming and also help to protect the environment. Use the WWF’s carbon footprint calculator to calculate the size of your carbon footprint as a business. Organise a staff meeting; set goals for your staff with staff incentives; and introduce competitions and prizes for the member of staff that reduces your business’ carbon footprint the most. Introduce a ‘green box’ so your staff can post their suggestions and use these ideas to help reduce your business’ carbon footprint. Display posters in communal areas to remind staff to switch off electrical appliances and recycle paper, plastic, glass and cans, using the recycle bins you provide. If you own a restaurant or café use OpenTable, TouchBistro or MenuPad to: take bookings and orders on your computer or tablet; to enable customers to pay using their phones; and email digital receipts. Incorporating this technology into your business’ daily routine will save paper as well as enhance the customer experience and improve customer service. Use FSC-certified paper for your menus or for promotional material eg. flyers, leaflets and posters. Use biodegradable packaging for your products from Biopac eg. cake and sandwich packaging, cold/hot drink cups and hot food containers, instead of using plastic packaging as it is less damaging to the environment. As the plastic carrier bag charge of 5p came into effect in October 2015, you could use eco-friendly paper bags instead. Your business will be seen as environmentally friendly and customers will be happy as they won’t have to pay for the bag. Advise your staff to only print off documents that are imperative; create Word documents and Excel spreadsheets on the computer; and input events, meetings and appointments into the calendar on Outlook. This will save paper and money on ink and paper. Encourage staff to cycle to work and reduce their carbon footprint. Invest in bike racks and sign up to the Cyclescheme so your staff can gain as much as 42% off a new bike or at least 25% off bike accessories. Encourage your sporty staff members to deliver products using their bikes. If your staff aren’t keen on cycling, encourage them to use public transport (bus, train, tram), walk to their workplace or share lifts when commuting to/from work, going out for lunch or travelling to meetings. Leaving electrical items on stand by is still using energy. Switch off electrical appliances when you lock up and ensure taps are switched off to help save money and energy. To help increase your business’ energy efficiency, invest in energy-saving lightbulbs (CFL’s or LED’s) and double glazing for your windows or fit solar panels to your roof to generate energy. If you light up your shop window at night, put your lights on a timer to stay on between 5:30pm-10pm. Consumers will be able to view your window display during these times then after 10pm, you will be able to save energy and money on your energy bills. If your business is in the hospitality industry, locally source your produce and buy seasonal foods. If you have green fingers and enjoy gardening, grow your own produce in a greenhouse or vegetable patch on site and incorporate these ingredients into your menu. This will show customers that your produce is fresh and organic. To reduce food waste, offer meals with a lower calorie content which will appeal to customers who want to lose weight. Reducing the portion sizes on your menu will reduce food wastage and also save you money on ingredients. Become a member with the Forum and you will have access to our business and legal helpline 24/7 along with discounts on stationery, business telecoms, utilities and more. To find out more information call us today on 01565 626 001.